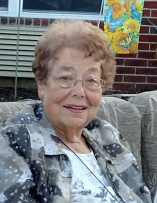 Alpha Blanche (Weesen) Lang, age 84, longtime Fayette resident, passed away February 1, 2019 at Ashley Manor in Boonville. Alpha was born in Blackwater, Missouri on March 28, 1934 a daughter of the late Alfred and Mary Bishop Weesen. She married Robert Lang on November 7, 1960 at Saints Peter and Paul Catholic Church in Boonville. Robert preceded her in death July 31, 2014 after nearly fifty-five years of loving marriage. Mrs. Lang was a longtime member of St. Joseph Catholic Church in Fayette. She was also a member of P.E.O. Chapter NN and the Red Hat Society. She was generous to her family and was a devoted wife, daughter, sister and aunt. She especially loved her time with her nieces and nephews, great and great- great nieces and nephews. She was a graduate of New Franklin High School and prior to retirement, had been employed with the ASCS Office in Fayette, as the Deputy of Probate and Magistrate Court of Howard County as well as the Howard County Department of Social Services. Cherishing her memory are her sister, Wanda (Cary) Lang of New Franklin; a sister-in-law, Dorothy (Jim) Bock of Laurie, MO and ten nieces and nephews and numerous great and great-great nieces and nephews. She is also lovingly remembered by her friends and caregivers at Hartman Village where she had made her home the last two years. In addition to her parents and husband, Alpha was preceded in death by an infant brother. 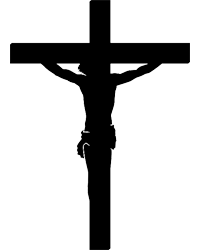 A Mass of Christian Burial will be held at 11:00 AM, Saturday, February 9, 2019 at St. Joseph Catholic Church in Fayette with Father Bill Peckman officiating. Visitation will be one hour prior to the service at the church. Interment will follow at Mt. Pleasant Cemetery in New Franklin. In lieu of flowers, the family requests memorial contributions to St. Joseph Catholic Church. Arrangements entrusted to Carr-Yager Funeral Home, Fayette, Missouri.